That is something Charleston may want to say on a regular basis. Were it not for the abject poverty the South Carolina Lowcountry suffered for much of the Twentieth Century, Charleston real estate would have been more valuable. And valuable real estate would have meant the complete conversion of historic downtown Charleston, SC, to just another Mid-Century American metropolis. Instead, Charleston, South Carolina, remained a relative backwater. Few moneyed interests showed any desire to knock-down the beautiful historic buildings in downtown Charleston. Once money again flowed-in after Hurricane Hugo, the most recent Charlestonian renaissance was able to take off. But by then, Charleston was sensible enough to recognize the benefits of keeping their gorgeously inefficient old buildings. Groups like the Board of Architectural Review and the Historic Charleston Foundation have been integral in preserving the historic downtown. Now, rich people don’t buy historic homes and knock them down. Instead, they buy them and live in them for about a week per year. Of all the attractions and activities that make living in Charleston so spectacular: the beaches, the food, and the people; the beautiful streets of historic downtown Charleston are what drew this hipster here in the first place. But there is so much more to the Charleston historic district than just pretty buildings. The cultural capital of the South is still the place to feel the pulse of Southern culture. From some of the best fine dining restaurants in downtown Charleston, SC, to the famous attractions, there is plenty to keep both visitors and residents busy. Most of the best things to do in Charleston, SC, are situated downtown, including the Historic Charleston City Market. Wandering around historic downtown Charleston neighborhoods is one of my favorite outdoor activities here. And the residents represent a broad spectrum of socio-economic classes and subcultures in America. Hipsters rub elbows with Southern preps in downtown Charleston bars on Upper King Street and elsewhere. Charleston is one of the few cities in America with a growing young population. This is one of the few places in America that can both attract and keep young people living here happily. But that’s not to say living in historic downtown Charleston is all roses. One of the biggest problems is historic downtown Charleston gentrification and changing from a racially diverse downtown to a monochromatic one. This is what would be called an “up and coming” neighborhood. The Westside neighborhood was still kind of scary when I first moved here, I remember my roommates recommending avoiding parts of it at night. Now, yuppies are taking over this part of town as well. What is a residential neighborhood features more than a few fun things to do. For example, a recent date night featured a Riverdogs baseball game at the Joseph P. Riley, Jr Park. Another well-known Westside attraction is Brittlebank Park and the Greek Orthodox Church of the Holy Trinity. The Greek Orthodox Church hosts a Greek festival every May that’s pretty fun. Westside actually has many of the most inexpensive hotels in Historic Downtown Charleston. Across Fishburne Street from Brittlebank Park sit a Holiday Inn Express and Marriott. The Hampton Park Terrace neighborhood is that borough I mentioned that is only a few streets long. This little neighborhood is only three blocks wide south of Hampton Park. This neighborhood is largely residential, though the houses are beautiful old mansions from the early 1900s. While many were converted to apartments, some remained single family homes, and many are returning to their original use. If you’re looking for restaurants or things to do in Hampton Park Terrace, you’ll have to walk over to Westside or Wagener Terrace. As I mentioned, though, they’re not exactly a strenuous walk to get there. This is a big stretch lumping together a few smaller neighborhoods of Wagener Terrace, Longborough, and Lowndes Point. This largely residential area is all north of Hampton Park. I’ll be honest, this is kind of a big, nebulous neighborhood. But I Live in Wagener Terrace Facebook group is a good one to follow for all things related to the neighborhood. But there’s a lot going on in Wagener Terrace. The neighborhood stretches from the Citadel and Hampton Park over to Magnolia Cemetery. The North Central neighborhood is another area of the peninsula that is changing rapidly. And by changing, I mean gentrifying. These two always get lumped together, named after their respective streets that pass through the middle of their neighborhoods. Cannonborough and Elliotborough are one of the top places to live in historic downtown Charleston now. Real estate and rents are not as expensive as further down the peninsula, and these neighborhoods are very livable. One of my favorite bars in downtown Charleston is here: Elliotborough Mini Bar. It’s also the location of my favorite bakery in downtown Charleston: Sugar Bakeshop. I may be biased, as my roommate is a baker there. As far as I’m aware, there are no hotels in this neighborhood. But this is the location of Charleston’s only hostel: Charleston’s Not So Hostel. This is also the only neighborhood in historic downtown Charleston where vacation rentals are permitted. You’ll find plenty of options if you take a look. To quote a guy on one of those home buying shows, the Eastside neighborhood may be an up and coming neighborhood, “but it ain’t up and come yet”. Eastside features dive bars and the haunts of poor college kids. This is one of the last neighborhoods on the peninsula where real estate prices and rents are not yet ridiculous. Some major renovation projects are going in on this side of the peninsula now, like the Historic Cigar Factory. Check out the Palmetto Brewing Company on Huger Street. I would also recommend grabbing a drink at the dive bar known as the Palace Hotel. The Cigar Factory is pretty cool too, though that’s about it here for now. This is kind of an odd area. Walking or driving this area shows more empty lots, empty buildings, and poorer neighborhoods. But gentrification is taking hold here as well, as more restaurants move into this area. Even prices for office space here in burnt-out old factory buildings is insane. Some notable restaurants here include Butcher and Bee, Edmund’s Oast, and Royal American. Radcliffeborough stretches from the Medical University of South Carolina campus to King Street. It goes from Calhoun Street to Morris Street. This is largely residential, but abuts the rapidly-growing Upper King Street, so it has got a few good restaurants and bars going for it. Kudu Coffee and Beer and Brown’s Court Bakeries are both in this neighborhood, and are in my opinion two of the best Charleston coffee shops. 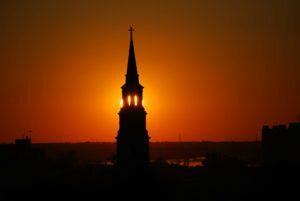 Off one of its streets sits the Cathedral of Saint Luke and St Paul, the cathedral of the Episcopal diocese of South Carolina. This historic downtown Charleston borough is quaint. It features little parks hidden along quiet streets throughout the neighborhood. The part of Mazyck-Wraggborough that abuts King Street and Meeting street includes some pretty cool spots. 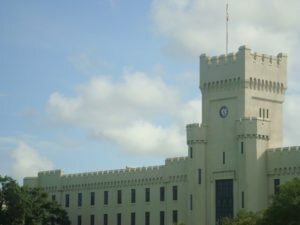 Sweet spots include Music Farm, the Charleston Music Hall, and the Charleston Museum. This neighborhood also has the famous Mother Emanuel AME Church on Calhoun Street, site of the recent Charleston shootings. Other major points of interest nearby include: the South Carolina Aquarium and the Charleston Museum. You can grab a ferry from the wharf on which sits the South Carolina Aquarium to cross the Charleston Harbor to Fort Sumter, by the way. Start exploring downtown Charleston here when you explore Charleston’s Visitor Education Center. Until recently, all the neighborhoods mentioned before were either majority or largely black-dominated. South of Calhoun Street features neighborhoods that have been white-dominated for longer, starting with Harleston Village. The Village of Harleston is one of the larger boroughs in downtown Charleston, and one of the earliest incorporated. Full settlement was slow, however, as much of the land is fill from the former marshes and swamps. Today, the neighborhood is filled with quaint homes and major tourist attractions like the College of Charleston and Colonial Lake. 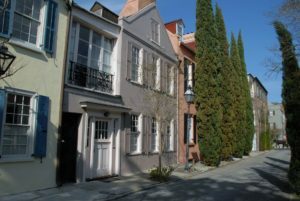 While not really its own neighborhood, King Street is the Rodeo Drive or Fifth Avenue of Charleston. As such, it deserves some special attention when talking about historic downtown Charleston. Before segregation, Upper King Street was the designated shopping area for black shoppers. King Street below Calhoun was for whites. Today, Upper King Street is defined more by its restaurants and bars, while Lower King Street is full of luxury stores and high-end boutiques. Nice shopping stretches up and down King Street, as well as some of the other attractions. 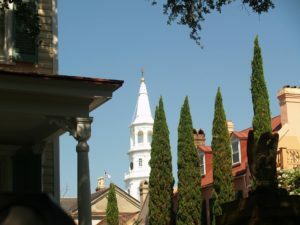 Besides featuring some of the best restaurants and best shopping in downtown Charleston, SC, some other points of interest and events include Marion Square and Second Sunday on King Street. The only way I can describe the Ansonborough neighborhood is quaint. The little streets lined with row homes and larger historic mansions are worth wandering through from Calhoun Street down to Market Street. Anson Street is one of my favorites streets to wander down in all Charleston. The Gaillard Auditorium is in the Ansonborough neighborhood, as is the Kahal Kadosh Beth Elohim. The French Quarter began when French Protestants (called Huguenots) settled in Charleston after their eviction from France. It’s often called the Charleston French Quarter to differentiate it from the more famous neighborhood in New Orleans. When tourists think of Charleston, they usually think of this borough of downtown. Quaint little streets, some cobblestoned, are full of historic homes. In fact, one of the oldest still-standing buildings in Charleston, the Pink House, is here. The Charleston French Quarter is famous for its restaurants, its art galleries, and many famous historical sites. 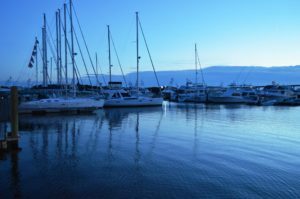 Some of the top tourist attractions in the neighborhood include Waterfront Park, the Dock Street Theatre, and St. Philip’s Episcopal Church and the French Huguenot Church. My favorite rooftop restaurant and bar in downtown Charleston is in this neighborhood: the Rooftop at the Vendue. Way down at the bottom of the peninsula lies the neighborhood most visitors come to see (but most residents rarely visit): the South of Broad neighborhood. There isn’t much here aside from beautiful old mansions and some art galleries on Broad Street. But it’s still pretty, and a relaxed place to wander around on an easy Sunday afternoon. South of Broad, or Charlestowne as it’s officially called, includes such attractions as the Nathaniel Russell House, Edmondston-Alston House, Rainbow Row, and White Point Gardens. Which Historic Downtown Charleston Borough Is Right for You? If you’re a tourist, you’ll likely be spending a lot of time throughout historic downtown Charleston. Much of your time will be spent around King Street, the French Quarter, and South of Broad. Most of the best historic downtown Charleston boutique hotels and many other of the best places to stay in Charleston, SC, are clustered along King Street and nearby areas. If you’re looking to establish yourself downtown, you have more options. 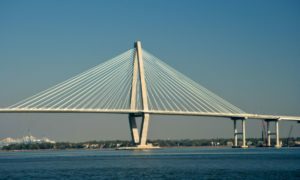 Your top choice of the best places to live in Charleston, SC, depends on with whom you’d like to rub elbows. Hipsters live in the Cannonborough / Elliotborough neighborhood and north to Wagener Terrace. Cannonborough / Elliotborough also seems to be the “gayborhood” of Charleston, though gay couples are scattered all over the peninsula. Unlike the typical stereotype of the South, historic downtown Charleston is fairly accepting and welcoming. College students cluster around the College of Charleston and MUSC, so Radcliffeborough, Harleston Village, and King Street. 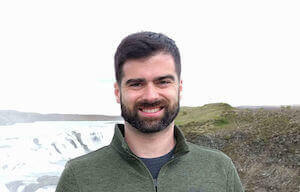 Just like the gays and hipsters, college students are wherever rent is cheap. Many are moving into the neighborhoods north of the Crosstown and Eastside. The best Charleston neighborhoods for families in downtown Charleston is likely the same area: Radcliffeborough, Harleston Village, and then Hampton Park Terrace and Wagener Terrace. What About the Fabulously Wealthy? Wealthy families retirees, or just people with too much money on their hands live south of Calhoun street. That said, the 1% is pushing those slightly less fortunate up the peninsula. That has the effect of driving those even less fortunate either further up or off of historic downtown Charleston. You can find the best time to visit Charleston, SC, for you elsewhere on our site. 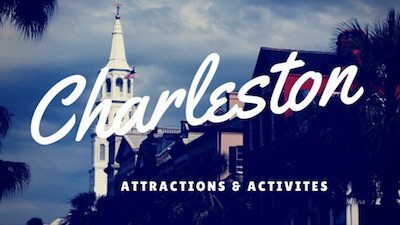 And if you’re overwhelmed by how expensive a visit to Charleston (or living here) is going to be, check out our list of the best free things to do in Charleston, South Carolina!